Hardcover, 9 x 11.5 in. / 160 pgs / 128 color. Edited by Angelo Benedetto, Lionel Bovier, Vincent Devaud, Gilles Gavillet, Alexis Georgacopoulos. Text by Angelo Benedetto, Alexis Georgacopoulos, François Rappo. 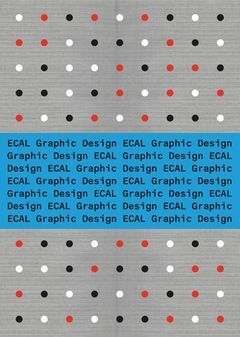 ECAL Graphic Design is a source book of graphic design by leading European art school, the Ecole cantonale d’art de Lausanne, headed by Alexis Georgacopoulos. 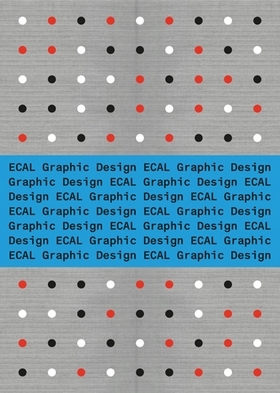 ECAL has evolved from a regional school in Switzerland to an internationally renowned institution, garnering commissions from museums and companies like Nestlé, Swarovski and Coca-Cola. 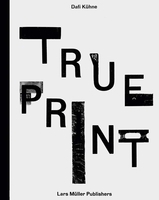 This volume highlights the wealth of typographic methods in fields such as poster design and publishing taught at ECAL, accessibly introduced by graphic designer and typographer François Rappo. An updated version of the 2006 edition, this hardcover reader is a current and comprehensive resource for typology and graphic design. FORMAT: Hbk, 9 x 11.5 in. / 160 pgs / 128 color.